Bob Wyss is a Journalism Professor at the University of Connecticut and a freelance writer. He has written two books and more than 60 freelance newspaper and magazine stories since 2002. By the end of 1940 it was becoming hard not to rejoice. The skies had been clear – or nearly clear – so often in St. Louis that everyone was beginning to count their blessings – literally. Even the trees within the greenhouses at Shaw’s Garden were thriving this winter in smokeless St. Louis. The Union Electric Co. estimated that residents would save $35,000 this winter because they did not need the lights on as often during the day. Travelers arriving by air at Lambert-St. Louis field as it was then called were actually landing. The year before aircraft had often been diverted elsewhere because of the smoke, and airline schedules were erratic. Some hotels reported that bookings were up 30 percent. Silverware and jewelry were retaining their luster – there was less hydrogen sulfide in the air. Household pets did not need as many baths. At the municipal zoo the polar bears did not look like brown grizzlies, as they had in past winters. The white swans on the lake were not partly black from picking up scum from the water surface. Business however was down about 30 percent for laundries and dry cleaners. Curtains at the Hotel Jefferson needed cleaning about one-third less often. The company that cleaned the Boatman’s Bank Building three months earlier could see no soot showing up on the surface. That was unusual. In past years the first side of the building cleaned would be streaked again with soot by the time workers completed hosing down the last side of the structure. At Shaw’s Garden no one needed to clean the palms with soapy water and sponges. Other plants were thriving. Evergreens were especially susceptible to damage from coal smoke. Yet Baumann was already considering planting more in the Municipal Plaza rather than the hearty hedges once under consideration. Doctors were reporting that patients with respiratory issues, including asthma, sinus trouble and allergies, had been far more comfortable this winter. However they did point out that smoke was only a contributing factor to many of these ailments. Real estate agents reported that they were seeing more families interested in moving back into the city. Many had once lived within St. Louis, but fled to the suburbs to avoid the winter smoke. Even the astronomers were pleased. Jessica Young Stephens, an assistant professor of astronomy at Washington University, said that in the past the school’s six-inch telescope had struggled to make out the planets and the stars. Sometimes conditions had been so poor that nothing was clear, other times the smoke would cause the stars to twinkle wildly. The density in the air caused those fluctuations in what could be seen, explained Stephens. But this winter had been different. The stars not only twinkled less, they were brighter. The entire universe was opening up for St. Louis. Lumps of coal for Christmas? Some in St. Louis in the winter of 1940-41 welcomed the gift of coal, which was discounted for some and free for others. The concept of heating assistance to the poor generally was unknown 75 years ago, but it was being discovered in St. Louis. Prices for a basket of coal, about 60 pounds and the only affordable option for anyone of a low income, had doubled since the city had banned cheaper but dirtier coal. Efforts were made to make sure Christmas in 1940 in St. Louis was warm and bright. In late November a group representing a range of low-income residents met with Smoke Commissioner Raymond Tucker seeking to find a way to lower prices. Charles E. Stovall, editor of the St. Louis Call, which was a newspaper for African Americans, proposed that basket sellers could lower their prices if the city could cover their losses. Baskets, which a year ago had sold for 20 cents, were now selling for 40 cents. Stovall suggested that 25 cents would be affordable. A few days later Tucker announced a plan that would lower the price of a 60-pound basket to 25 cents. A consortium of 135 coal yards around the city agreed to sell up to four baskets during the winter to residents who could show that they were living on a low or fixed income. The city earlier in the year had set aside $300,000 to buy coal for poor residents in an emergency. However, under the voluntary plan proposed by the coal yards, that money would not be needed. Businessman James L. Ford then went a step beyond this, and inspired others to do the same. Ford won the St. Louis Award, given annually for an outstanding civic achievement. Ford won for his efforts as chairman of the Smoke Elimination Committee which had investigation had to rid the city of the coal smoke that had smothered it for decades each winter. The award carried a $1,000 which Ford contributed, along with another $500, to a heating fund for low-income residents. This then prompted more donations from the mine operators in Arkansas and Oklahoma, 600 miners in Arkansas, and the Frisco Railroad, which had been carrying the coal to St. Louis. 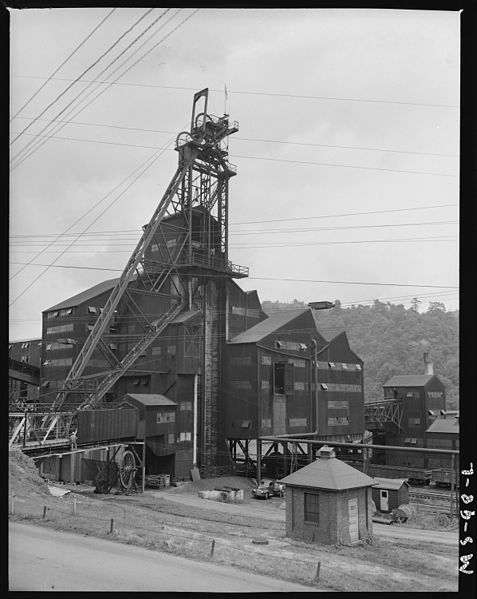 The coal miners sacrificed a half of a day’s wages, which amounted to $1,500. The result was that 33,000 baskets of coal were to be distributed to needy families throughout St. Louis. By Christmas eve more than 5,000 families had been identified to receive the free coal. That’s when the first trainloads of coal arrived and coal dealers bustled to get the work done by the end of the day. A second shipment was delivered the day after Christmas. The disappearance of black clouds of smoke at noon was not the only hazard that had disappeared so far in St. Louis. The threatened boycott of St. Louis goods by the citizens of Southern Illinois also had never arrived. Smoke Commissioner Raymond Tucker was convinced it never would. The boycott may have failed because Illinois coal miners did not suffer the way they had first anticipated. Economists have often said that boycotts over political issues can be difficult to sustain. In Illinois the boycott never really ever got off the ground. Tucker, in speeches and columns in newspapers, argued that there was no economic incentive to sustain the boycott. Coal purchased by customers in St. Louis only constituted a very small percentage of the commerce of Southern Illinois. The primary businesses at the time were manufacturing and agriculture. Protesters had argued that St. Louis was putting 35,000 coal miners out of work by its refusal to buy low-grade high sulfur coal. But Tucker, in an article published in the St. Louis Commerce and later reprinted in the St. Louis Post-Dispatch, argued that such a number was nothing more than a fantasy. While Southern Illinois did employ close to 35,000 coal miners (the official number three years earlier had been 27,151), St. Louis was not the region’s only customer. If St. Louis totally withdrew from the Illinois coal market, Tucker estimated it would only cause 3,250 miners to lose their jobs. That was not the case. Higher quality coal was still being purchased and even the lower grades were acceptable if customers had the right equipment to reduce emissions. Therefore, said Tucker, 800 miners was a better estimate. “Opposed to the welfare of those 800, or even the entire 3,250, must necessarily be placed the welfare of more than 800,000 residents of St. Louis,” wrote Tucker. Plus, with war underway in Europe and the economy improving nationally and in St. Louis, employment opportunities were rising. Tucker, in a separate speech in Rollo, Ill. in September 1940 suggested that the net impact likely by that rise in prosperity was at the very least zero. In other words, the 800 jobs lost by the ordinance were cancelled out by an increase in 800 jobs by the improved economy. Whether Southern Illinois bought that argument did not matter. What did was that Southern Illinois was buying St. Louis products. The boycott had failed. It would never return. 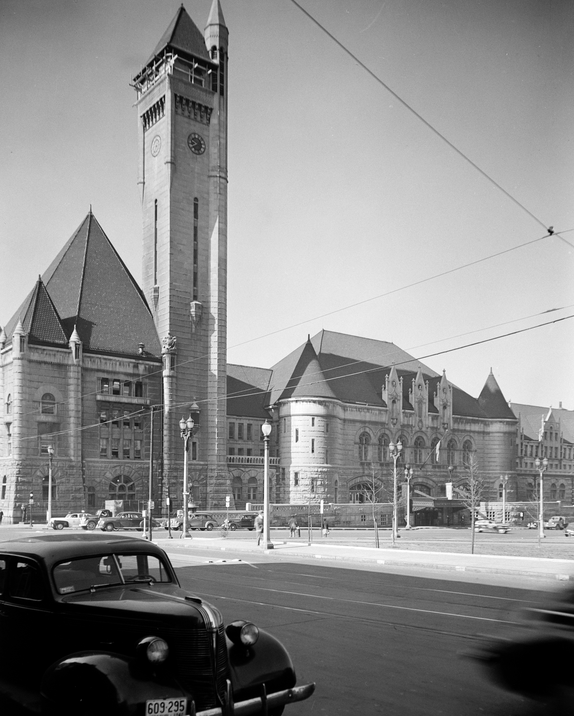 St. Louis City Hall, while ravaged by former attacks of coal smoke, awaited the winter of 1940-41. Except, St. Louis was not yet prepared to accept that there yet was a difference. Nov. 26, 1940 dawned wet, cold and most importantly, free of smoke. A year before this date was labeled Black Tuesday for the pall of black smoke that descended upon the city. Visibility was reduced to a few feet, traffic crawled, lights burned throughout the day. And when the people of St. Louis in November, 1940 looked back at the last few weeks, the results so far had been just as positive. A year earlier the city had already suffered through 11 days when heavy black clouds shrouded St. Louis. There had only been five so far this year. “During the past week St. Louis has been rubbing its eyes, crossing its fingers and saying to itself that it can’t be true,” declared the St. Louis Globe-Democrat editorially. “The results have been almost too good to be true,” added the St. Louis Post Dispatch in an editorial the next day. Had the city turned a corner after undergoing decades of black smoke? Had the new city ordinance requiring residents, businesses and even government to buy cleaner burning coal begun to make a difference? Were people really paying more for their heating fuel in exchange for a cleaner sky? Was the key to the city’s cleaner skies something as basic as chunks of coal? City officials were not commenting. Their views were noticeably absent in the stories and editorials in the city’s newspapers. The Globe-Democrat noted that on the one-year anniversary that there had been some smoke in outlying areas including East St. Louis and University City. But the Post Dispatch said that except for the rain the weather conditions were almost identical. The wind and heating conditions were nearly identical. Rain and fog a day such as this often forced the smoke down to ground level, but that was not the case. Despite the conditions, the newspapers were cautious. The task as yet, it added, was unfinished. St.Louis was fighting coal bootleggers to stop the clouds that had pestered the city for decades. Sandy Ford did not run until after the city inspector flagged down his truck on a cold winter night. Henry Kessler suspected that Ford was hauling bootleg coal and that was confirmed when Ford jumped out of the truck and ran away. Kessler pulled out his revolver and fired. But he only aimed at the asphalt and Ford did not stop running. A second man in the truck, Robert McFadden, was charged with hauling illegal coal. Ford gave himself up an hour later at the police station and was also arrested. Ford contended that the only reason he had fled was because he knew that he and McFadden would need a bail bondsman. He brought one with him to the police station, and the two men were quickly released. By the end of the week 20 coal peddlers had been arrested for selling bootleg South Illinois coal in St. Louis where it was illegal. This was January, 1941 and the reason the city had drastically increased its staff of smoke inspectors up to 18. Bootlegging coal dealers faced misdemeanor charges, which meant that they could usually avoid jail, but they also could lose their licenses for such activity. Many were caught by inspectors stationed on the bridges from Illinois to St. Louis. Today, the very term smoke inspector sounds quaint, more related to tobacco or fire prevention than air pollution. But beginning in the late 19th Century and continuing into the 1950s cities throughout North America and Europe routinely relied upon smoke inspection staffs as one way to control pollution from the burning of coal. The first efforts to control smoke in cities such as St. Louis began in municipal health departments. Some cities would create separate smoke inspection offices both to enforce existing laws and to run educational programs. The number of inspectors could vary widely. New York City at one point reportedly had 400 smoke inspectors while nearby Philadelphia only had two. They could also range from trained engineers to common laborers. Smoke Inspectors gathered at their annual conference in 1904. In St. Louis the Division of Smoke Regulation was created in the Department of Public Safety in 1937. Smoke Commissioner Raymond R. Tucker and his staff of 13 smoke inspectors were responsible for examining furnaces, inspecting coal supplies and educating the public. Once the new ordinance was passed in April 1940 Tucker and his staff also relied upon private citizens to help that identify specific chimneys emitting bilious clouds of black smoke. Normally a homeowner or small business owner would not be cited for a violation of the law unless they were caught at least three times. Often they simply did not understand how to operate stokers and other mechanical equipment added on to boilers to reduce pollution. But it was never an easy task and often inspectors would be torn between their responsibilities. What was more important, inspecting wholesale yards for signs of illegal coal, that is soft coal with a high sulfur content, or being out on the streets searching for suspect chimneys? Sometimes it was not even clear to Tucker who he should be most worried about. Shortly after the new ordinance was adopted in April someone claiming to be a city alderman proposed selling a list of people who had been violating the law but not prosecuted. He phoned and asked George Hale, secretary for the St. Louis Stoker Association, if his members would buy the list. Hale conferred with his members who agreed that they would prefer dealing with Tucker directly if such a list existed. Tucker confirmed that there was such a list but it was confidential. Tucker then called a meeting of his staff and told them it would be “too bad” if someone in his office passed the list to anyone. The story quickly spread to the city’s three newspapers. Hale may have known the name of the “alderman” but by the time the newspaper reporters got to him he had forgotten it. Banning coal was causing all kinds of unexpected headaches. Cold Arrives But What’s Missing? And then, finally, came the cold. All of St. Louis, even those meeting a train at Union Station, waited as the cold began to arrive for the city’s spate of coal smoke. The first cold snap arrived Oct. 10. The sky over St. Louis was clear, while smoke covered much of East St. Louis across the river, which had no ban on dirty coal. Slowly the smoke drifted on a westerly breeze into downtown St. Louis. The East St. Louis smoke returned again to downtown the morning of Nov. 8. But the real test arrived Nov. 11 and continued for five days when a 63 miles per hour gale struck St. Louis. It brought with it the coldest temperature the city had seen this early in the season since record keeping began in 1873. The average was 26.4 degrees, which was 4.3 degrees below the mean expected in mid-January. This time there was no westerly breeze and no smoke from East St. Louis. Everyone noticed the clear skies. A resident wrote the mayor’s office to report that the new, more expensive but clear coal did make life easier. He no longer had to clean the range before his wife baked, he did not have to worry about blackening his neighbors clothes drying on a line when the wind blew, and the coal was so much higher quality that he could bank it so it could last all night. Smoke Commissioner Raymond Tucker said calls to his office had virtually ceased, except for a few complaints about the price. The winter blooming witch hazel at Shaw’s Garden was bright yellow. In past years blossoms had turned a dirty, rusting brown. While it was a good beginning, neither Tucker or James L. Ford, who had chaired the Smoke Elimination Committee, were ready to declare that the heavy blankets of smoke would not return. For decades people in St. Louis and other cities throughout the U.S. and Europe had contended that the noxious clouds of smoke from coal were the price that had to be paid. No one, they argued would either pay more to heat their homes or runs their businesses. No one would put pollution controls on their boilers or machinery or pay a higher price for coal. But St. Louis was proving that it could be done. Tucker estimated that as many as 5,000 dwellings around the city had installed stokers that produced fewer emissions, or had converted to oil burners. Plus, many buying the more expensive coal was discovering that Turner was right – its BTU content was far greater. 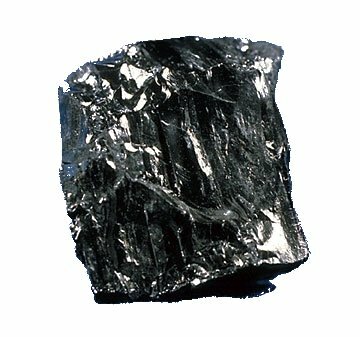 The same amount of clean coal would burn more than two times longer than the dirtier coal St. Louis had used for years. The city was allowing any leftover coal from the year before to be burned. But by the November cold snap Tucker said those supplies were pretty much gone. Some residents did not understand how to use the stokers or other mechanical equipment. A smoky chimney often drew the attention of one of Tucker’s 13 smoke inspectors, and would lead to a lesson in how to use a stoker. Inspectors were also out searching for what were being described as coal bootleggers, dealers selling coal that would burn so dirty that it was illegal. Tucker indicated he had no plans to reduce enforcement and that he hoped to hire more inspectors. Not surprisingly, the poor seemed to be paying more than anyone else, at least proportionately. A basket of coal that last winter had cost 20 cents was now double the price. Tucker’s inspection staff could not do much about the price, but they were rigidly inspecting the baskets to make sure a city requirement of 80 pounds per basket. The Workers Alliance, which advocated for the poor, began calling for the city to lift the restrictions on coal, at least for residents on relief and the WPA rolls. Tucker agreed that he believed the poor were paying too much. But he gave no indication that he was going to back down in insisting that everyone needed to contribute to cleaner skies. By Nov. 16 the cold snap began to lift. By mid afternoon it was 50 degrees and sunny. No one wanted to complain about that. Hissing and steaming, Locomotive No. 4496 and its 40 cars of cargo arrived at the Grantlet rail yard in St. Louis at 9:35 a.m. It had made its 410-mile journey from Ft. Smith, Ark. in 20 hours. Waiting was a contingent of city officials, reporters, photographers and business people. They were all there for one reason – the arrival of cleaner coal. It may have been a steamy mid-July day but many were already thinking the of heating in the coming winter. The ore that warmed the hearth but clouded the sky. City officials climbed onto one of the open freight cars to view the piles of coal. Smoke Commissioner Raymond Tucker said it was the cheapest alternative that would still burn far cleaner than what St. Louis had put up with for decades. What Ford did not mention was the other clash that had been going on for weeks. Coal interests and some railroads had fiercely fought the city’s efforts to buy the cleaner fuel from Arkansas. Illinois coal miners, having lost their previous sales of higher sulfur coal to St. Louis, were rallying to boycott St. Louis goods. Most of the attack centered on a proposal by Frisco Railroad to deliver the Arkansas coal at $2 a ton, which was 75 cents a ton cheaper than the prevailing rate. Frisco had volunteered to undertake the lower tariff to assist in solving the St. Louis pollution problem. Other railroads and coal companies objected to the special treatment, warning that Illinois coal miners would suffer. In late June the U.S. Interstate Commerce Commission by a 2-to-1 vote approved the reduced rate. The same day the ICC acted St. Louis aldermen authorized a $300,000 revolving fund to assist in sales to low-income residents. The fund was a contingency in case local dealers failed to stock the cleaner coal coming from Arkansas. No one in Arkansas was worried that the fuel would not be bought. The day the first train left Ft. Smith local officials there also came to the rail yards to celebrate. The Ft. Smith Chamber of Commerce reported that an additional 500 men had been hired by local coal companies to meet the demand. During the ceremony in St. Louis Ford urged residents to buy their fuel as early in the season as possible. Ford said prices were cheap and it was unclear how long that situation would remain and how plentiful supplies would be. Yet that quickly was vanishing as an issue. Within a week after the ceremony the trainloads from Arkansas were arriving in St. Louis on a regular basis. Five retail dealers had ordered supplies and others were reported that they were about to order. It was in sharp contrast to earlier warnings from the dealers, who complained that prices were going to be so low they could not turn a profit. By September so much coal had been delivered that coal stocks were greater in St. Louis than they had been in years. The issue of coal supply had vanished as rapidly as smoke rising from a fire. But would the St. Louis winter coal smoke disappear as quickly? Who Will Help The Poor This Winter? She only was making $16 a week, she had a family to support, and she wondered how she was going to pay the rumored price of up to $8 a ton for coal. But the city had already been working on such a plan to aid residents, especially the low income, since April when it adopted a new law aimed at cleaning the winter skies. The first step was to approve a $300,000 revolving fund so that the city could buy coal wholesale and supply it to residents. If local coal dealers were unable to acquire the more expensive, and cleaner coal, that the city now demanded its residents burn, then the city would do it. Then the city began negotiating and reached an agreement to buy up to 1.5 million tons of high-grade coal from Arkansas mining interests. As part of the deal the Frisco Railway agreed to haul the coal at the cut-rate price of $2 a ton. That meant that the price would be about $5.50 a ton. That was somewhat higher than the $3 to $4 a ton many in St. Louis had been paying for their high sulfur coal that was now illegal. But it was slightly better than the higher grades sold by Illinois dealers, and it was a large, guaranteed supply. But a problem developed almost immediately. Not only did the coal miners and owners loudly protest the deal. But competing freight rail companies vowed to oppose the rate plan when it was considered by federal regulators. Illinois coal miners and owners had already begun a drive to boycott St. Louis goods in retaliation for the city’s refusal to buy its cheap, dirty coal. Now, they were even more incensed. Coal workers at mines like this is Illinois remained very worried. Retail coal dealers in St. Louis were not that much happier. The agreement projected that the dealers would sell the coal at $5.50 a ton but when they did the math they realized that their profit margin would only be about $1.50 per ton. They said that was too low, they would be ruined by such a low margin. The competing rail companies simply did not like the new rate that Frisco Railway was seeking. In a time when interstate prices for such precious commodities as coal were still strictly regulated, a consortium called the Central Freight Association filed a protest with regulators. 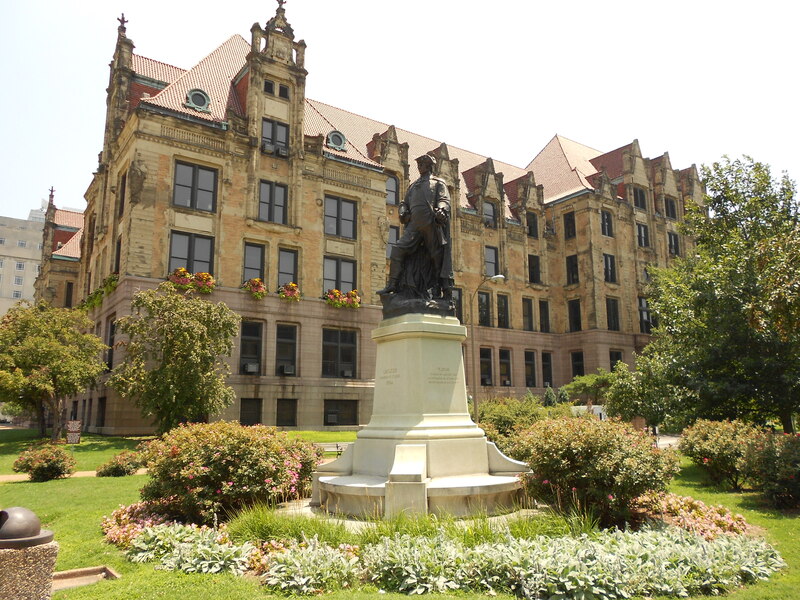 St. Louis municipal officials meanwhile pressed for approval of the plan and told local coal dealers that the marketplace would ultimately determine the price and how much the merchants would make in profit. The St. Louis Star-Times said that Illinois coal operators could work together in the same way as Arkansas dealers have done, just as rail companies could compete with the Frisco rate plan. Besides, said the Star-Times, the city had suffered enough from the air pollution caused by coal.